The roof on your home is one of the most vital components. It keeps the entire home safe and dry and when there is a problem on the roof of your home it can put everything in your home at risk. Knowing when you need a new roof installed on your home can sometimes be difficult to determine for many home owners but there are things you can look for to help indicate that you need a new roof. We’ve included some of the signs you need to get a new roof in Dearborn Michigan in this article. If you notice any of the following signs be sure to call Roofing Dearborn for a roof inspection on your home’s roof. 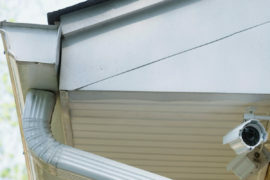 When a roof leak occurs on your home it’s not just the roof that is damaged. The roof leak may cause damage to the roof initially but as the water enters the home from the roof leak it can cause all sorts of damage. The first area is will start causing problems is the insulation in the attic. As the insulation gets saturated it will be less effective and start to hold water. The water will then likely make it’s way to the drywall that is installed on your home’s ceilings. At this point the roof leak in your home may become evident by a brownish stain on the ceiling that can be moist to the touch. For more severe roof leaks the drywall may collapse under the weight of the water. Anything that is contained in the roof can be damaged by this water entering the home. 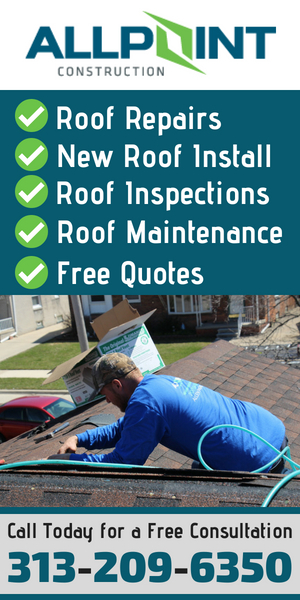 So when you have a roof leak on your home it’s important to always get it checked and repaired by a qualified roofing contractor such as Roofing Dearborn. 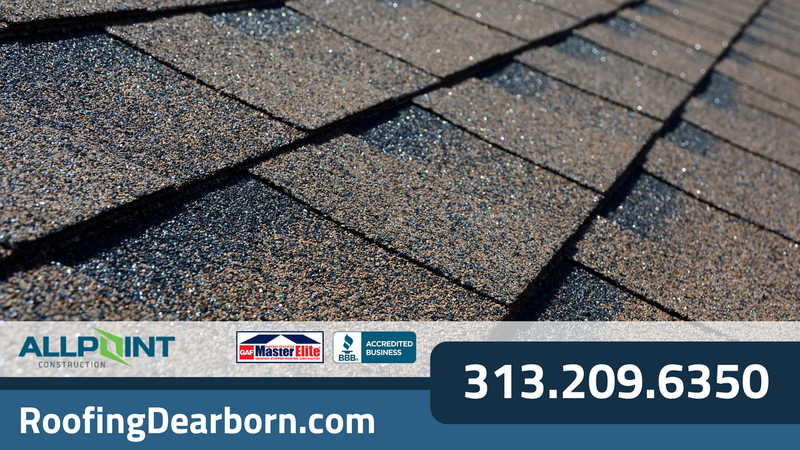 The most popular roofing material used in Dearborn Michigan today is called asphalt shingle roofing. Asphalt shingle roofing has been used for many decades and remains to be one of the best roofing choices for homes in this area. However, over time, asphalt shingles can start to break down and get weaker and they may not protect your roof as they should. Most of the roofing installations of asphalt shingle roofing has a warranty of 15 to 25 years. 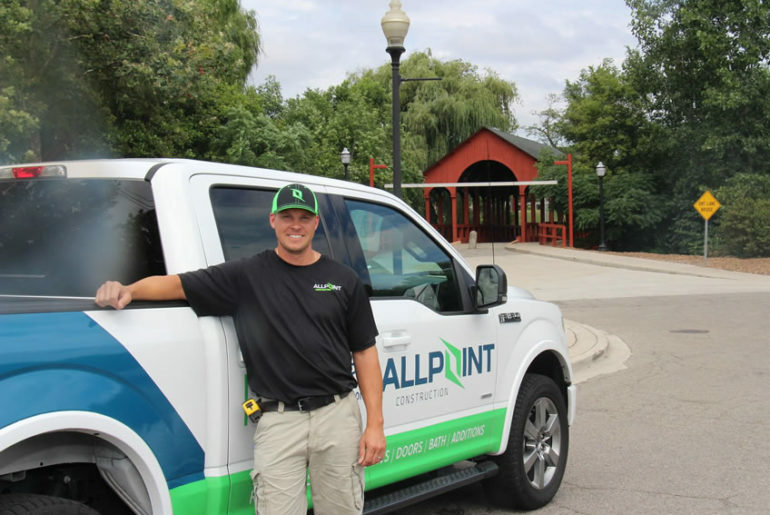 so if your roof is older than 15 years old then it may be time to consider getting a new roof installed in Dearborn Michigan. One of the problems that you’ll face when the shingles on your home gets older is that they are more easily damaged. As wind blows the shingles back it can break them and damage them. If you notice shingles on your home’s roof that are broken or damaged chances are you will have a roof leak in that area soon. Be sure to get a qualified roofing contractor out to check the roof and replace any broken or missing shingles. If your roofing shingles are starting to break like this and it’s not due to extremely high winds or storms it maybe a good idea to get a new roof installed on your home as the problem will likely persist. Sometimes even the strongest roof is no match for Mother Nature. Storm damage can occur because of a variety of reasons such as wind damage, fallen tree branches, etc… Sometimes a roof repair can be done to repair the portion of roof that was damaged but it may not look great afterwards. When repairing larger areas the shades of shingles can sometimes be very noticeable and it may actually bring the value of your home down. 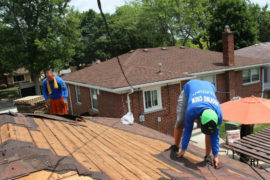 Getting a full roof replacement in Dearborn Michigan can ensure your roof is uniform and bring your home’s value up.